Cost to hire an ant exterminator varies greatly by region (and even by zip code). Get free estimates from animal/pest control specialists in your city. Cost to hire an ant exterminator varies greatly by region (and even by zip code). The cost of hiring an ant exterminator is $250​. On average, the cost of a general ant treatment excluding fire and carpenter ants in a 3,000 sq.ft. house is $250. When an ant enters your home for the first time, it’s looking for food. If it finds some, it leaves a trail from the food source back to its colony for other ants to follow. This is in part what makes it so difficult to get rid of the ants; this trail is invisible to the human eye. Ants can enter through very small cracks and crevices as well, so it’s important not just to kill the ants currently in your home, but to eradicate their trail and seal up any cracks or crevices with caulk 1 to ensure they cannot re enter. Mound Control/Dust and Drill: this is one of the more effective methods at controlling fire ants. Using the mound control method, your exterminator will drill into the mound, then apply a chemical powder that will eliminate the queen and colony inside. This method is usually used in conjunction with other, interior methods. Poisoned Bait: one interior control method involves leaving poisoned bait in the areas of your home the ants are most likely to use entering and exiting. The ants carry the bait back to their nests where it can help to kill not only the carriers but the other ants as well. General Pest Treatment: a general pest treatment involves some kind of chemical spray which kills not only the ants, but other types of insects nearby. 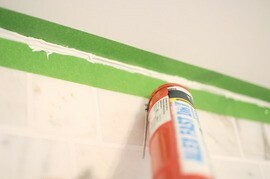 Usually your foundation and other typical areas of entry are sprayed. Monthly Treatments: if you have a serious problem with ants, you may require monthly treatments. This may include any of the other methods done on a monthly or quarterly basis to control the ant population. Two-Step Method: the two-step method involves both mound control and some kind of either spray or poisoned bait to both control the colonies and eradicate the ants inside at the same time. Many exterminators today recommend or use “green” or non-toxic pesticides to control the ants. These are particularly important if you have children or pets in your home. Typically there is no additional cost, as most exterminators have already made the switch. How can you get rid of ants? How do you control ants? How much does it cost to hire an exterminator? 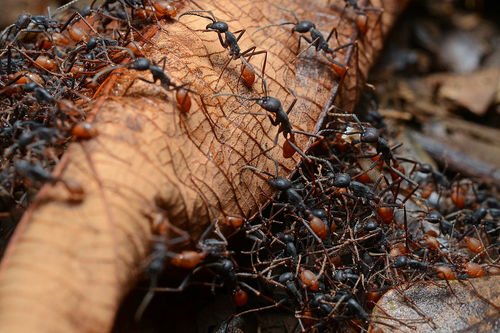 Can Terminix get rid of ants? Carpenter ants are winged ants of varying sizes which eat the wood in your home’s framing and foundation. How much does it cost to hire an ant exterminator in my city? Cost to hire an ant exterminator varies greatly by region (and even by zip code). To get free estimates from local contractors, please indicate yours. To help the user understand the project of the cost guide we have added an image of the problem, in this case, ants and a summary at the beginning of the cost guide with the cost of getting rid of them.